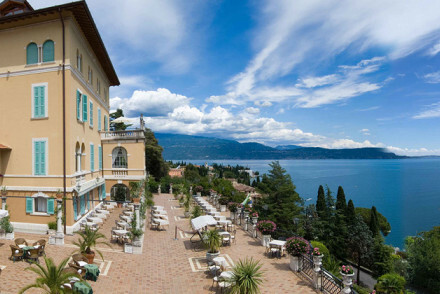 Gardone Riviera was once one of the most glittering and glamorous resorts on Lake Garda, with its perfect views augmented with beautiful villas and elegant Belle Epoque hotels sloping up the hill like an amphitheatre of prettiness. 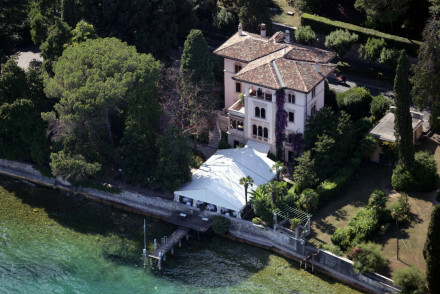 And these villas and hotels are still some of the best places to stay in Gardone Riviera. 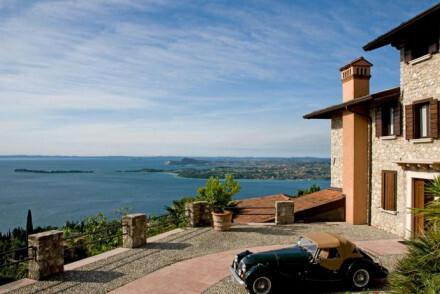 Our Gurus' other top criteria when recommending the charming properties on Lake Garda are the lake views. And you might be surprised that you can find many of these properties starting from less than £70 per night, so it’s significantly more affordable than in its 19th Century heyday. 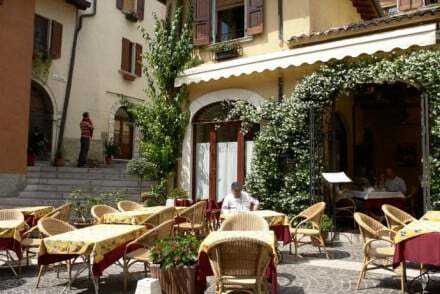 In the historic centre of town is a lively piazza with cafes and bars, plus a charming chapel. 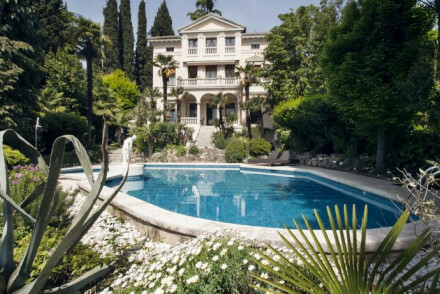 But one of the nicest things about Gardone Riviera are the beautiful gardens, which display all the best of Lake Garda’s vegetation plus some Mediterranean and sub-tropical guests which thrive under the sunshine and warm microclimate. Many of the villas and hotels have lovely gardens, but Gardone Riviera also has some formal botanical gardens and several parks lining its elegant waterfront boulevard. The Vittoriale degli Italiani, once the home of the poet Gabriele d’Annunzio, and the A. Hruska Botanical Gardens are probably the town’s main sights, but there’s plenty to do in, around and on the lake. Undoubtedly one of the town's top attractions, the Il Vittoriale degli Italiani, the vast hillside estate where famous Italian writer Gabriele d'Annunzio lived until 1938. The quirky interior of the property is well worth a tour featuring numerous fascinating historical pieces along with interesting information about its notable former resident. A wander around the gardens will yield visitors all sorts of treasures, from an amphitheatre to an old battleship - it really is an eclectic mix that will appeal to all visitors. For a truly tranquil experience, visit the Heller Garden which features some stunning and exotic flora along with intriguing pieces of art. Quaint bridges cross waterways surrounded by charming bamboo gardens interspersed with captivating pieces of art - certainly a unique garden! Take a gorgeous lake-side stroll along Passeggiata Kurpromenade, a charming promenade that features a lovely selection of shops and cafes ideal for enjoying a beverage with a view. The spectacular Duomo Santa Maria Annunziata offers visitors a superb glimpse into the cultural history of the town with beautifully painted high ceilings and impressive artwork. Or for a different perspective of the gorgeous Lake Garda, take a relaxing boat trip offering superb views of the town and dramatic scenery. 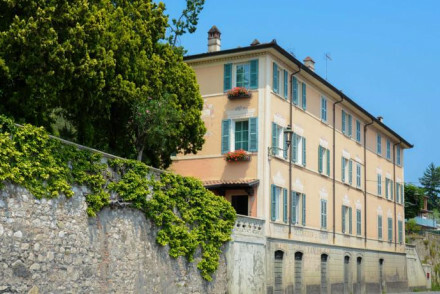 All the best places to stay in Gardone Riviera get very busy during the busy summer months, so if you're planning a trip, remember to book well in advance. 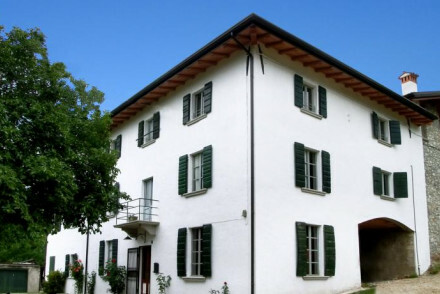 The Villa Fiordaliso is a grand 19th Century Liberty-style villa with beautiful, historic interiors and a gourmet restaurant. There are just five rooms, which are traditional but timeless, and all with beautiful views of the lake. There’s also Michelin starred dining and lovely gardens and terraces. Dimora Bolsone is a stylish, ten room B&B in a converted medieval manor house. Quiet and secluded, you get views over the whole area from the house’s position above the town, plus there’s a lovely garden and simple rooms with nice antiques and objects. Hotel Villa Rosenhof is perfect for those who want a quiet break - with just two rooms, there'll be hardly anyone else around to disturb you. Plus you can use a partner hotel's facilities including lake side pool. The Villa del Sogno is another luxury option for couples. It enjoys a gorgeous lakeside position, beautiful gardens, gourmet restaurant, wellness area and no children are allowed! Bella Riva is a beautifully positioned hotel with 23 contemporary rooms and suites. There’s also an excellent restaurant and bar and a very nice pool. And the hotel has great watersports facilities, which means it’s a great choice for families. Villa Vittoria is a charming eight roomed property with a plum lake side spot. Rooms are spacious, the gardens lush and there's an outside pool for those who can't be bothered to move! Perfect for families or groups (you can rent the whole place if you like). 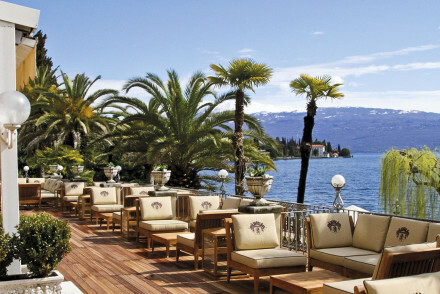 Originally built for the imperial family, the Grand Hotel Fasano is an historic grand hotel in a privileged lakeside position. The architecture is romantic with fairytale turrets and lovely details, but its private terraces, pebbly beach, spa and tennis courts mean it’s also a good choice for families. Osteria Antico Brolo is a gorgeous little restaurant with rooms. Chic rooms and suites with original features and a contemporary feel. Plus the on site restaurant for delicious dinners. And it's great value too! 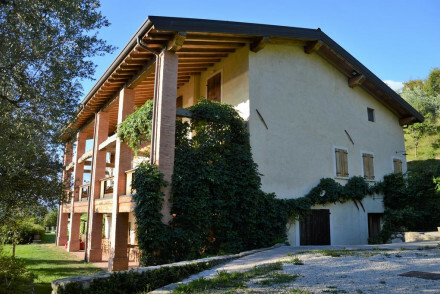 Due di Moro is a small eco property nestled in the picturesque hills near Lake Garda. 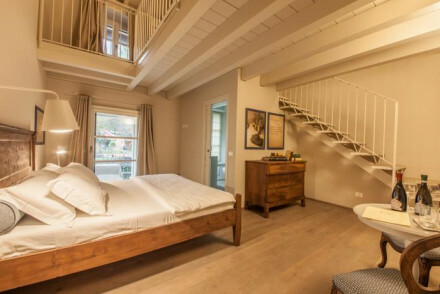 Charming rooms feature beamed ceilings, tiled floors, crisp white linen and private terraces. A fabulous restaurant serves up regional dishes using home-grown produce. There is a sauna and infinity pool too. Situated in the hills just above Gardone Riviera, you won't find anything better value than B&B Big Sur. Its three rooms are simple yet stylish and prices start from as little as €80 B&B. And for adventurous types, there are both hang-gliding and paragliding opportunities on site. The Locanda Agli Angeli is a charming restaurant with nine romantic rooms - some with four-poster beds. The decor is simple, think whitewashed walls and exposed beams. And there’s a small pool. Rooms start from €80 per night. For the increasing number of us who want to go on holiday to get healthy, the Villa Paradiso should tick all the right boxes. It's a luxury option with beautiful rooms, gourmet (healthy) cuisine and all treatments and therapies included in the price. If you'd prefer a self-catering option this holiday - don't hesitate to visit our online partner Booking.com for a great selection of properties close to the lake. Fly to Verona Airport located 77km (47 miles) from Gardone Riviera with a selection of flights across Europe. If you want to rent a car to explore the beautiful lake-side, for prices visit our online partner Rentalcars. Best time to visit - the summer months from June to September for warm weather, great for enjoying the lake and exploring the town.